Over the past decade, with the advent of the web 2.0 concept, the need to create Web applications which are easy to access, easy to use for the end user, and relatively fast, has been a challenge to many developers worldwide. That was why the concept of CMS (Content Management System) started to be used and many of the CMSs have been created to give an efficient solution to ease all of the processes. At the moment there are around 1200 CMSs for programming, available in different languages. With this big number, it is hard to know which CMS is better than others and it is also hard to know how each of them respects to each others’ performances. This one is easy to install and to configure if they have good documentation, a good community, enough number of themes (free or paid), or if it supports clustering to balance the load, or if it is easy to extend the code, inter alia. Those can be the things which can help a developer to choose a CMS according to its characteristics. Description extracted from their web page: Plone is among the top 2% of all open source projects worldwide, with 340 core developers and more than 300 solution providers in 57 countries. The project has been actively developed since 2001, is available in more than 40 languages, and has the best security track record of any major CMS. It is owned by the Plone Foundation, a 501(c)(3) not-for-profit organization, and is available for all major operating systems. Description extracted from their wab page: TYPO3 is an enterprise-class, Open Source CMS (Content Management System), used internationally to build and manage websites of all types, from small sites for non-profits to multilingual enterprise solutions for large corporations. Description extracted from their web page: dotCMS removes the technical issues that have long plagued the pace of website change, allowing organizations to move ideas to market in days, not weeks. We couple a sophisticated and extensible Java architecture with an easy and intuitive user interface. Enabling your team to lower time-to-market, increase site traffic and repeat visits while providing a targeted and engaging on line experience. 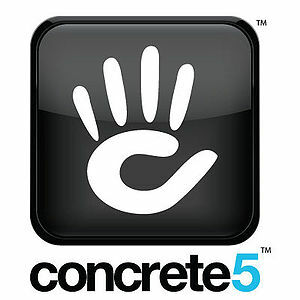 Description extracted from their web page: concrete5 makes running a website easy. Go to any page in your site, and a editing toolbar gives you all the controls you need to update your website. No intimidating manuals, no complicated administration interfaces – just point and click. More freedom to decide what’s on page. Needs changes in core database configuration. Run the script from the main folder(no from the directory “bin”). The compilation takes a long time. Good and easy to follow. It is not good, it is necessary to read a lot to understand how to configure some behaviors of the system. Explains some functions of the code. Is not easy to understand. No html o css knowledge deeded. I don’t know if it is easy. Easy with documentation for main functions. Relatively easy, some behavior understanding needed. All theme from the website are applicable. Not specified on the page. Community on line (IRS) #plone they have around 200 user online. #typo3 they have around 70 user online. #dotcms there are around 15 people online. #content5 they have around 40 users online. No, only forum on the main page. http://www.fsf.org/ Numerous pages powered by typo. A few interesting page. Not many pages. CMSs can have very good profiles as safety, documentation, administration, performance, etc. They are important to the developer but not to the end users who care more about simplicity rather than the technology used in the CMS to make a web page. While the most common CMSs are not as complete as CMSs plone, typo3 and dotCMS, they provide easy content management. That is why they are more popular because they are user friendly. This case also happens to concrete5 CMS which is actually not as full as plone or typo3, but what makes it successful is that it can be used easily and it has a simpler configuration.